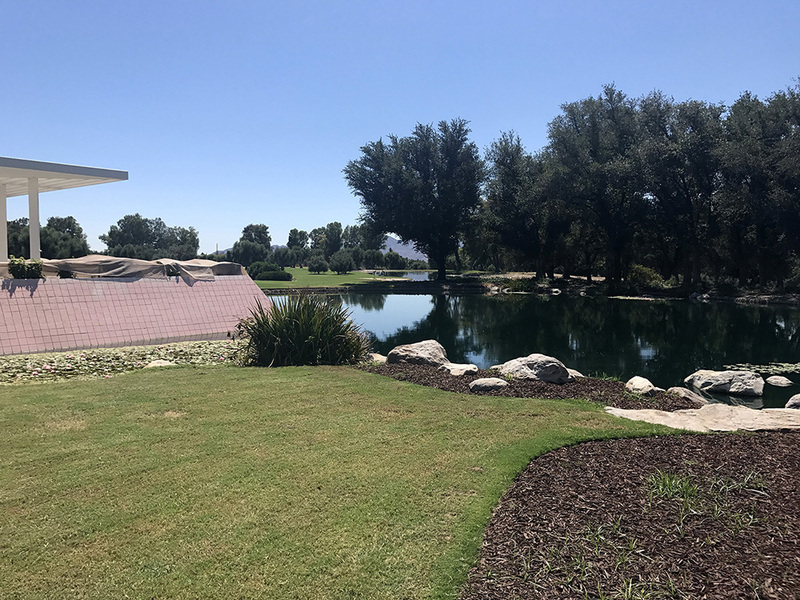 Sunnylands is a 200-acre estate in Rancho Mirage, near Palm Springs, CA. Graced by the visits of presidents and celebrities for decades, it was recently dubbed the “Camp David of the West Coast” by the New York Times. What was once a private getaway for the rich and famous still plays host to national and international leaders, scientists and experts who meet to discuss global issues. 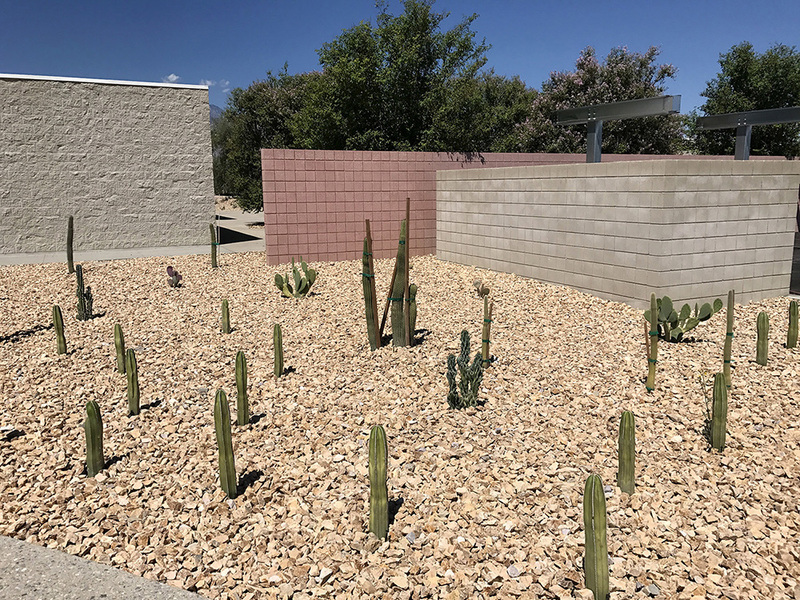 In addition, this gem of midcentury modern architecture and landscaping is now open to the public to enjoy the grounds and learn more about the location’s history. 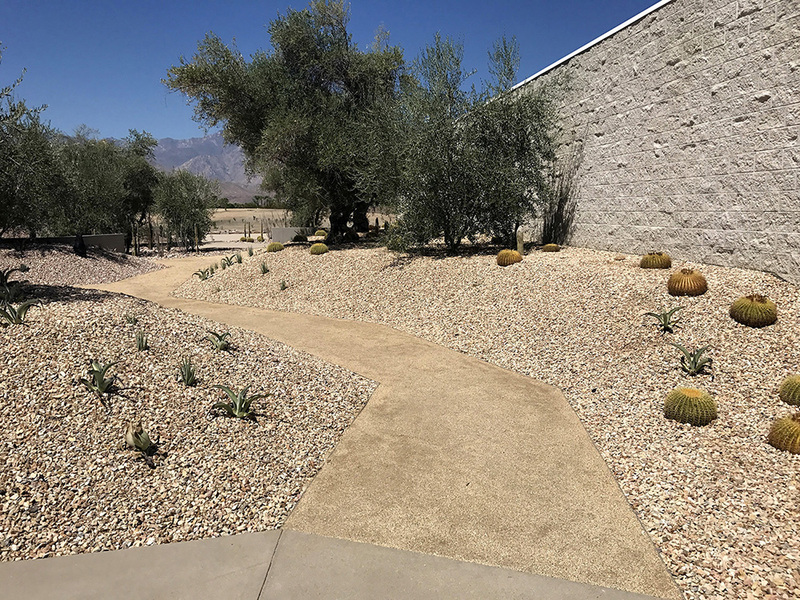 The first phase of the project was to improve the exterior planter areas near the front entrance of Sunnylands. The impetus for this first phase was to efficiently beautify the outside of the complex in advance of a visit from former President Barack Obama. 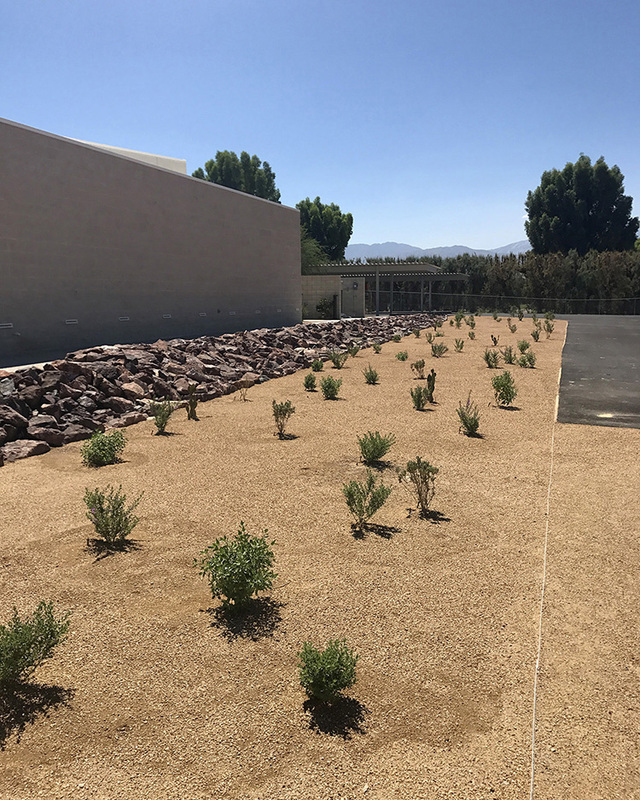 The second phase of the project was part of a large-scale remodel and upgrade to the facilities inside Sunnylands. 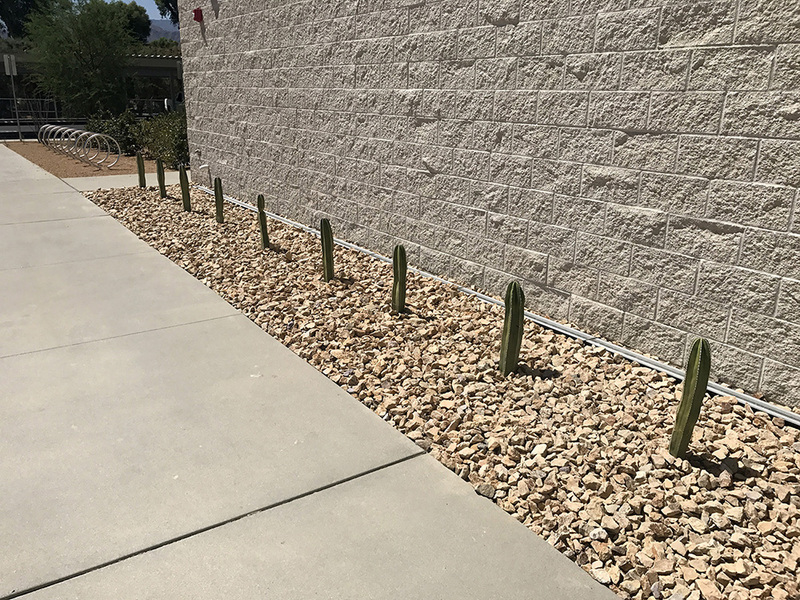 New offices were built and landscaping was added around new areas. 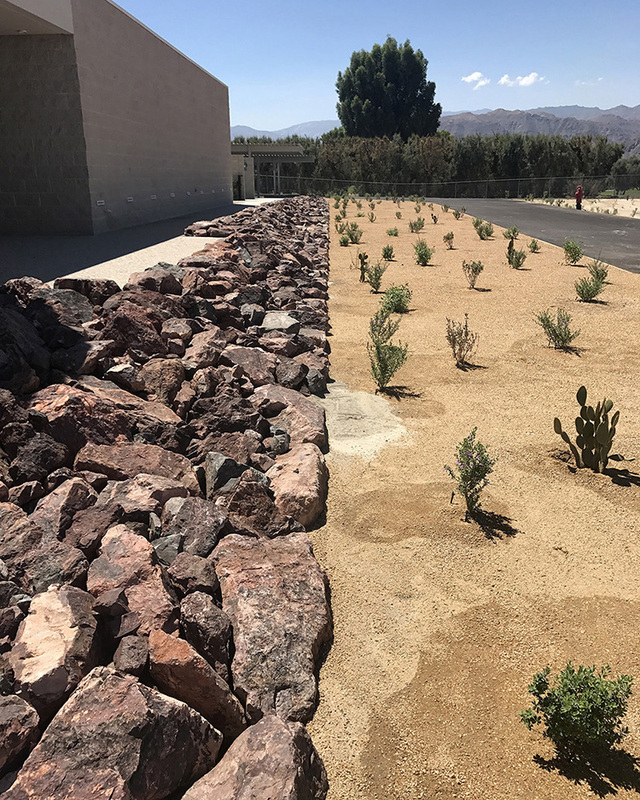 Large amounts of decomposed granite and crushed rock were chosen in hues that match the surrounding desert and complement the low-water plants. 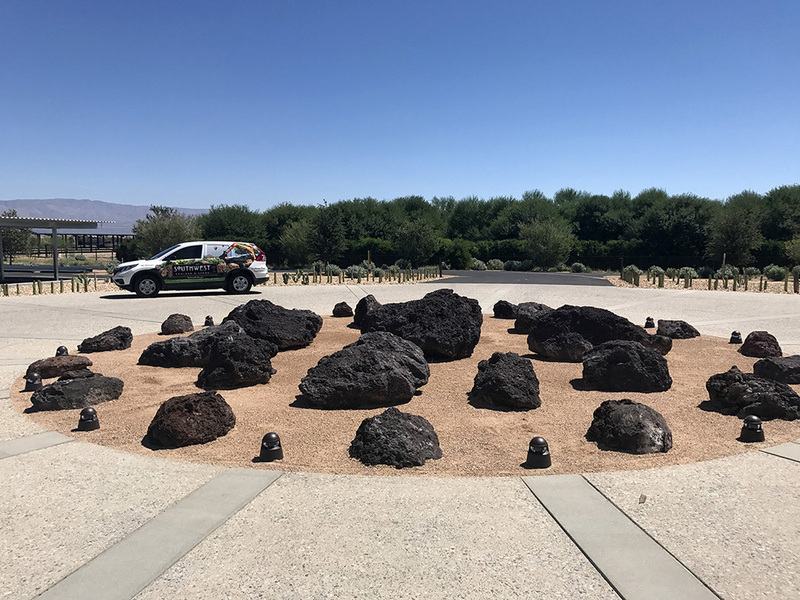 Large Red Lava boulders placed together in a central area form one of the most eye-catching features of the landscape design. 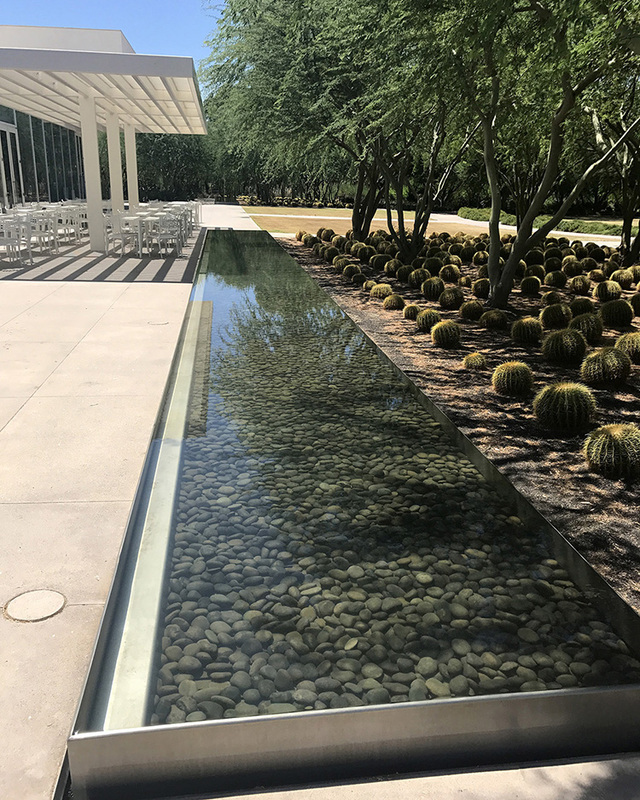 Both phases were part of a larger plan to increase sustainability, with the goal of decreasing water consumption by 50%. 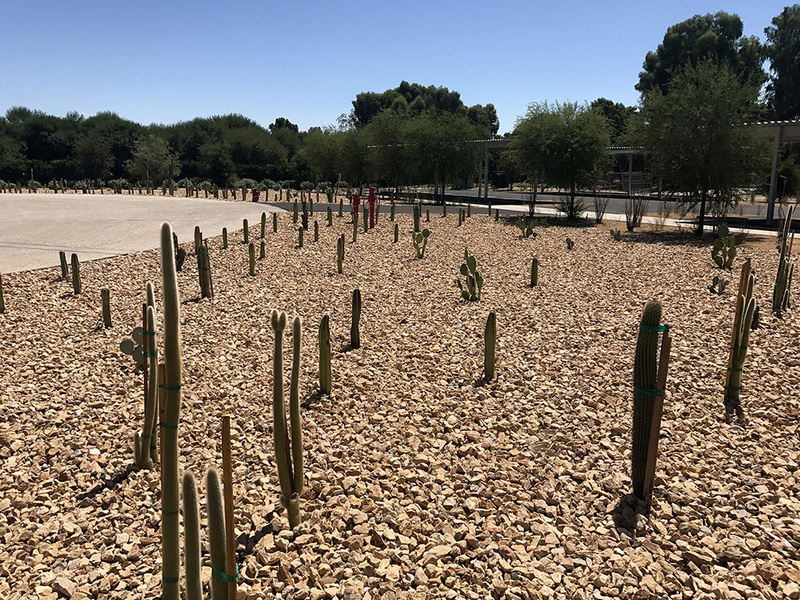 Historic buildings and landscape were both preserved and adapted to meet the aggressive water reduction goal. 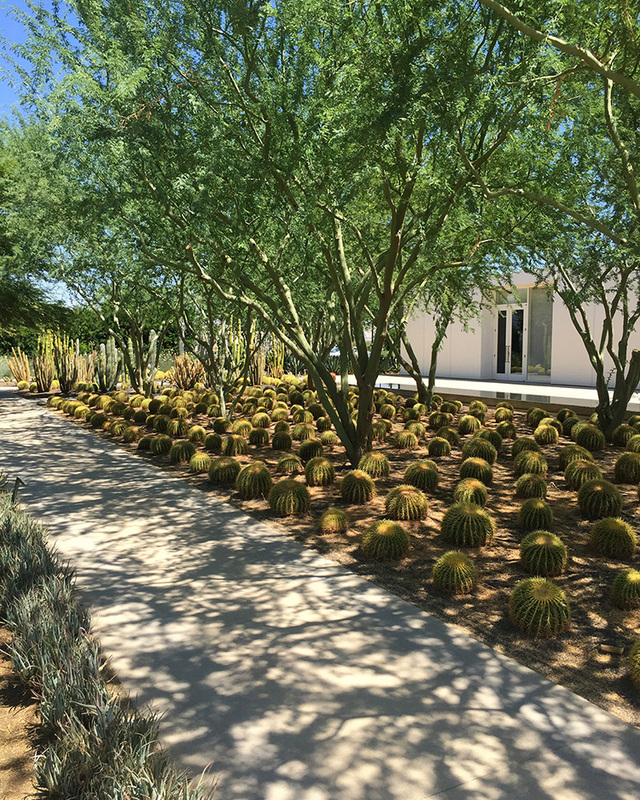 The result is a beautiful example of modern low-water landscaping that retains its historical charm. 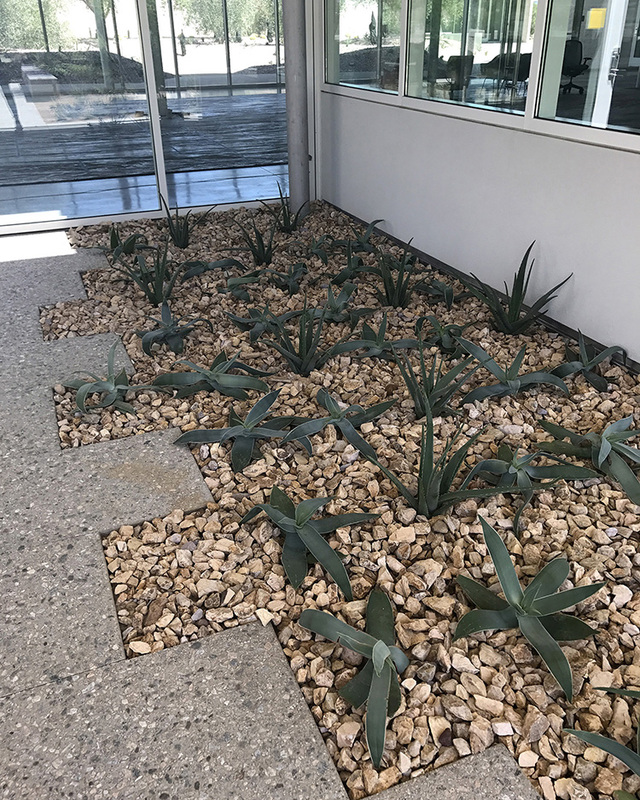 Looking for more landscaping ideas? 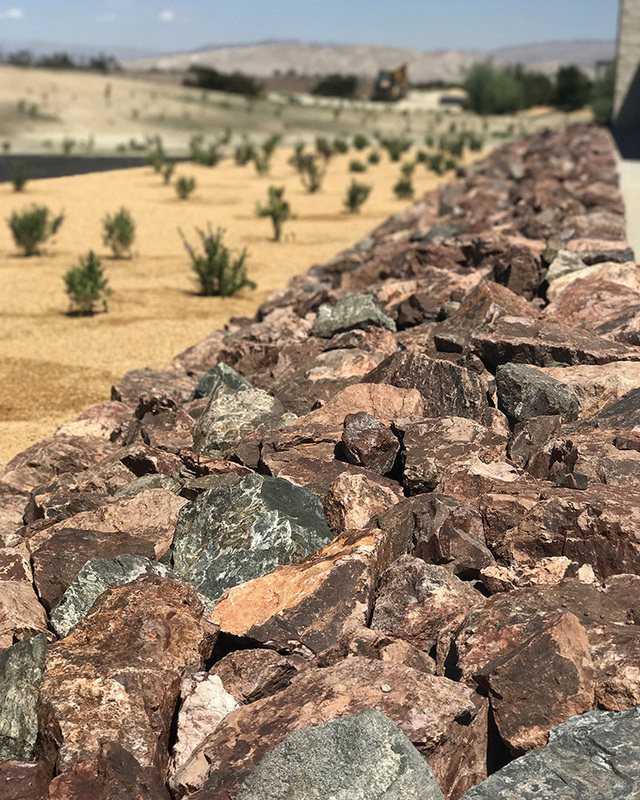 Do you share our passion for sustainable landscaping through natural stone? Sign up to receive our monthly email featuring landscape projects and more!